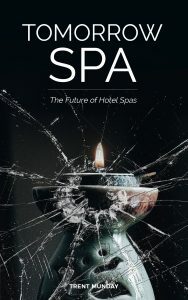 Most people I talk to seem to believe that the connection between Hotel Spas and Wellness is a no-brainer. “Of course Wellness is needed in hotels!”, many say. “Definitely the Spa is where hotel guests will go to get their Wellness fix.”, many others will say. For so many folks in the hotel, spa and wellness space, Spa is Wellness and Wellness is Spa. It is not only a fait accompli, but the panacea for all that ails the spa industry today. It’s certainly hard to deny the overwhelming trend towards all things Wellness. It also makes sense that hotels are keen to find a way to enhance and then leverage their Wellness-Cred. We’ve seen this movie before, right? Hotels did the same thing with swimming pools. Then they jumped on the fitness and gym bandwagon. Next it was spas. Now, it seems, hotels are looking to Wellness to be their USP du jour. I also see a lot of practical merit in hotels introducing Wellness elements. As someone who travels a lot and spends a lot of time in hotels, access to Wellness is great. Whether we’re there for business or pleasure, we are often more open to try something new when staying in a hotel. And from the hotel’s perspective, it could finally give them the ability to build real lifestyle brands. I have written before about this idea of Lifestyle Brands in Hyatt and Miraval – The Long Game and Spas – Lifestyle Brands of the Future. So, all that is great. But, it still doesn’t mean that Hotel Spas and Wellness need to be inexorably tied together forever. And there’s two parts to this discussion. Firstly, Hotel Spas do not necessarily have to go down the Wellness path. And secondly, Wellness does not have to live only within the confines of the Hotel Spa. In Ep. 448 of Trent365! – Relevance of Wellness in Spa, I made it pretty clear that, despite what others are saying, I don’t believe Hotel Spas must do Wellness. And as I discussed in Ep. 450 of Trent365! – Where Does Wellness Belong?, Wellness does not necessarily need to live in the spa. Indeed, it really shouldn’t live in your spa – at least, not only in your spa. Wellness is not just a single treatment or product or service. Wellness is a Lifestyle Choice really. If you want to do Wellness right, it needs to be present in every element of what you do. That does not mean you need to go to extremes. You can absolutely have varying degrees of Wellness in the way you live your day to day. But to have a dinner buffet full of high fat, high carb, high sugar foods and devoid of healthy choices, won’t cut it either. In short, Hotel Spas and Wellness can absolutely be great bedfellows. In many hotels, they probably will be. But to assume that your Hotel Spa must have a strong Wellness focus, no matter what, would be naïve. So too, would it be ill-advised to position your Wellness elements only in the Spa. Wellness is not Spa. And Spa is not Wellness. They can co-exist quite nicely, of course, but they don’t have to.